Sushi Garden is a super popular Japanese joint across from Metrotown. Seriously, go there during meal hours and there's always a huge lineup! I wanted to try Sushi Garden for myself to see what all the hype was all about! I opted for the Alaska Roll, one of their most popular rolls. It's essentially an avocado roll, topped with salmon, and a special sauce. 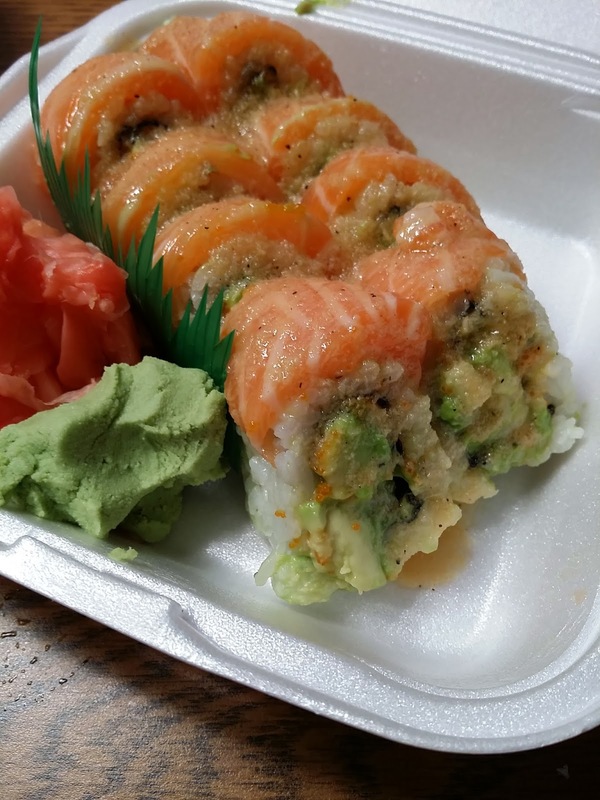 The texture of the entire roll is very mushy, from the avocado and the salmon. The sauce itself isn't opaque, it's actually goopy and slightly reminiscent of salad dressing. This roll was $3.75, really inexpensive for the ingredients used. The avocado tasted fresh, and the texture of the salmon was wonderful. The sauce was slightly sour, garlicky, and was really tangy. It was alright, not as good as I was expecting. 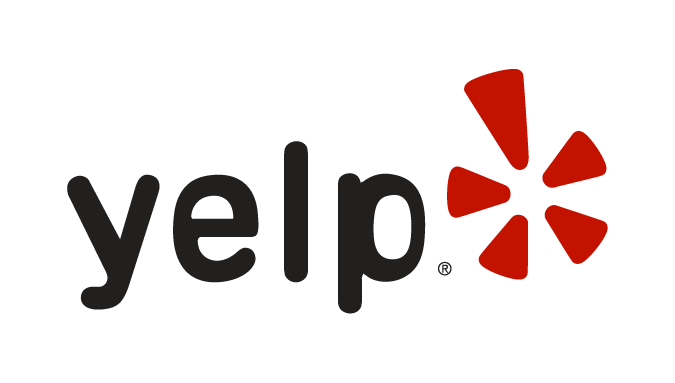 Overall I wasn't really impressed, I was actually really disappointed, having read numerous reviews raving about the Alaska Roll. It definitely didn't live up to the rave reviews. One thing I noticed upon immediate consumption was that the roll didn't taste distinctly Japanese. Yes, I have now acquired an authentic Japanese sushi detector. My suspicions were verified, as Sushi Garden is run by Koreans. If you've had authentic sushi made by Japanese, you know what I'm talking about. The texture, taste, smell of the rice is just different! Authentic sushi is just 100 times better. I know,I know, I've become such a sushi snob. Haha!! 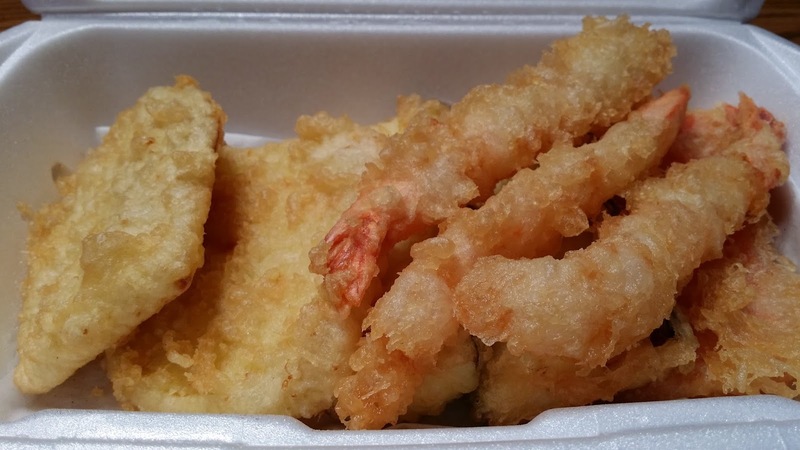 I have mixed feelings about the tempura. The sweet potato/vegetable tempura was very badly executed, to say the least. The batter wasn't authentic Japanese batter, it lacked the crispness and crunchiness of real tempura. It tasted very bland, and lacked the aroma of Japanese tempura. The only thing I liked was the prawn tempura. The exterior was crispy and flakey, and was full of flavour. The prawn itself was very smooth and moist when I bit into it. I'd probably order the prawn on it's own, but not the vegetables. -There's always a lineup, even on weekdays. The verdict: Sushi Garden is definitely overhyped, but the quality is acceptable for the price. The sushi tastes nothing like authentic Japanese sushi, which may deter some. If you're looking for excellent sushi near Metrotown, check out Isami Sushi across from Staples, which I've reviewed! Personally, I wouldn't eat here again.